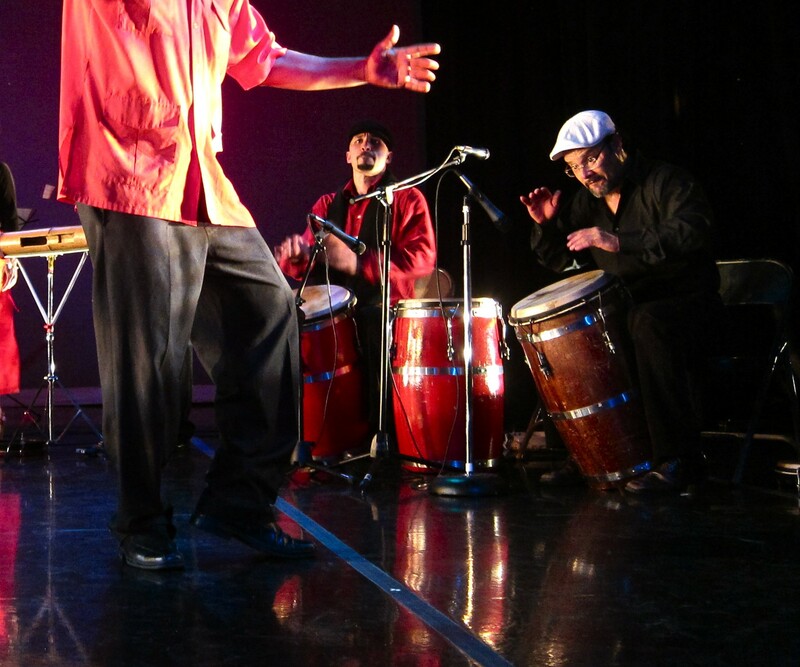 Hector Lugo is a percussionist, singer, songwriter, producer, and educator. A native of Puerto Rico, he has performed and recorded with a variety of prominent artist in the Bay Area’s Latin, Jazz, and Afro-Caribbean music scenes – including Louis Romero and Grupo Mazacote, the Larry Vuckovich Jazz-Latin Quartet, Jackeline Rago and the Venezuelan Music Project, Bobby Céspedes and Conjunto Céspedes, John Santos and the Machete Ensemble, as well as internationally artists such as salsa great Pete “El Conde” Rodríguez, the Veracruz based Son Jarocho ensemble Mono Blanco, the late great Puerto Rican percussionist Luis Chichito Cepeda, Modesto Cepeda, and the Los Cepeda Folkloric Ensemble from Puerto Rico. He is the founder and director of the Caribbean roots music and dance ensemble La Mixta Criolla and musical director of the Afro-Puerto Rican folkloric ensemble and education project Aguacero. Hector has lectured on the history of Puerto Rican music at Stanford University, UC Berkeley, Mills College, San Francisco State University, and Humbolt State University, and has taught workshops on Latin percussion in the Bay Area, Mexico, and Spain. Hector is founder and co-director of the Bomba y Plena Workshop at La Peña Cultural Center and coordinator of the Music of Our World program of the Oakland Youth Chorus. He has pursued doctoral studies at UC Berkeley and has a Master’s in Sociology from the same university. He has done extensive research on the sociology, politics, and cultural history of Latin America and the Caribbean.